You guessed it – one of the last cameras released in 2017 ended up taking the top spot. The Sony a7R III is a truly impressive camera, which combines advanced stills and video features in a body designed to satisfy the needs of professionals and enthusiasts alike. While the a9 is faster, and features an autofocus system better optimized for shooting sports, the a7R III is a mirrorless interchangeable lens camera for the rest of us, and a well-deserved winner of our award for the best product of 2017. 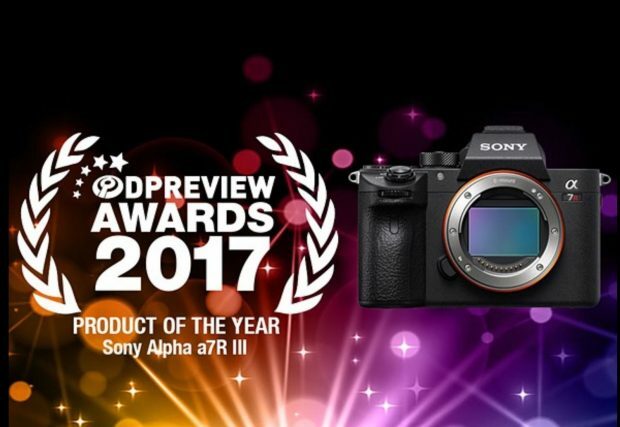 The Sony Alpha a9, RX10 IV, FE 16-35mm f/2.8 GM Lens also get dpreview awards of 2017. Ridiculous results.The A9 should have been the winner, a far more important camera than what is just an update of an existing camera.